Point of Sales security is always a relevant issue for a merchant services provider. With the recent string of data breaches that have happened to well-known businesses like Target and Verizon, there are plenty of reasons to feel like your POS’s security system may not be up to snuff. Although hackers are becoming better each day at getting access to essential data, there are multitudes of ways to help toughen the process for a determined hacker. The two major forms of hacking involve either the use of an attachable hardware device to the POS system, or using malware to hack into a POS network. 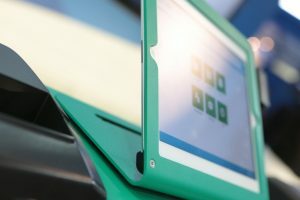 Although there is no surefire way to prevent either of these things from happening, here are five tips that will help improve the security of your POS system. Always maintain the most up-to-date POS software. POS system updates can be a drag, but oftentimes these updates provide crucial security patches that ward off malware and other hacking technology. Rather than updating technology quarterly, update the technology as frequently as possible. It’s hard to stay a step ahead of cybercriminals, but if you’re always improving, it makes the task more difficult. CoCard provides cutting-edge POS services, featuring top-notch security and management tools. Install Firewall and Anti-Virus Software to boost your network’s immunity. Similar to keeping up-to-date POS Software, installing new Firewall/Anti-virus software is critical. It adds an extra dimension to the security system already in place at your firm, and puts yet another wall between you and a potential hacker. Programs like Barracuda and McAfee are good choices. Create intricate passwords that are frequently changed. This is an extremely overlooked habit that should always be practiced. Many times, hackers have no problem getting past security systems because the passwords in place are entirely too simple and intuitive. Always change from the default password that was provided for your system, and never make it something simple like “Password1” or your birth date. Find something that isn’t easily guessed, and change the password frequently, preferably every two or three months. Deny internet access from POS Stations and Terminals. Keeping POS computers off the internet vastly reduces the risk of viruses and other internet-based malware. Only connect your system to the internet for necessary POS activities, and avoid general internet usage. Don’t give a hacker the chance to get to you by staying clear of their sights. Although we get accustomed to allowing IT professionals and employees to use the POS system from remote locations (not necessarily in office), hackers have a far easier time finding your device’s information when it is used away from a terminal. Restrict access to programs as much as possible, and you have vastly decreased your risk for hacking. Although none of these solutions are fool-proof, they are steps that over time can make a big difference in your program’s safety. When thousands of potential clients’ credit information is in your hands, why take the risk? Just like you take vitamins to protect your immune system, take precautions to protect your POS system!